Alpine Rovers Football Club was referred to by John Hewitt some weeks ago. 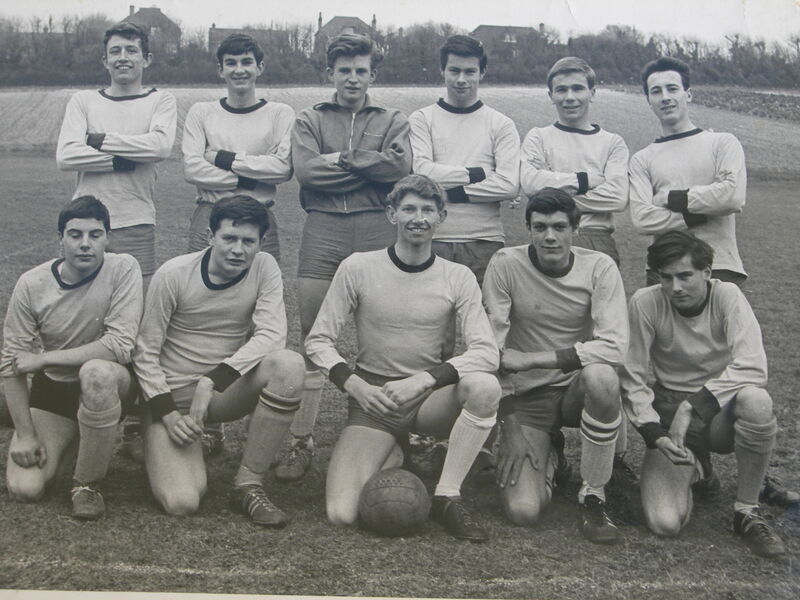 This was a team which, initially, was founded by pupils of Hove County Grammar School for Boys in the early 1960’s. Pupils from other nearby schools then joined as the team expanded. 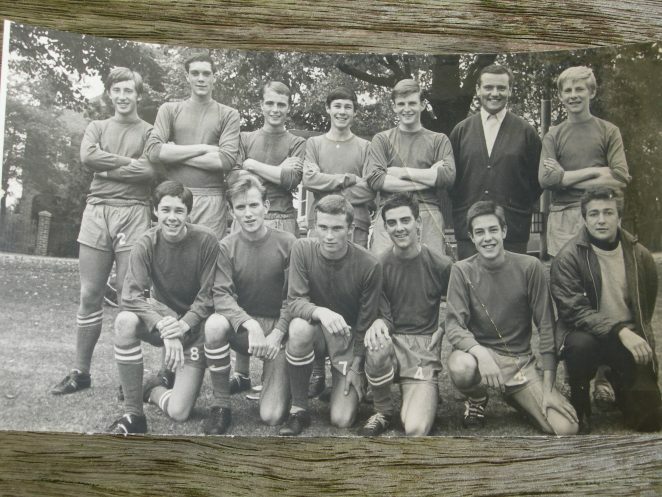 Throughout its relatively short life, the team played in the Sussex Sunday League and although it started in one of the lower leagues worked its way up to a good standard. As this was over 50 years ago, detailed memories fade but others no doubt will be able to fill in more details. Attached are some team photos taken during the period of 1964 to 1967. Where I can remember I’ve written the names but there are gaps which others might like to fill and indeed make corrections to my errors. Click on a photograph to open a large image in a new window. 1964-65 1st X1 v Hove Corinthians : Team members of the 1964-65 photo v Hove Corinthians Back Row: left to right: Mick? Mills, Ken Bridle, Dud Whittaker, Graham Tate, John Draper, John Sullivan. Front Row: Alan Barnard, Andy? Slater, Ivor Mills, Geoff Garland, Alan Brackley. 1st X1 1966-67 season: Back Row: left to right: Dennis Knight, Geoff Garland, Russ Davies, Dave Bunker, Dudley Whittaker, John Phillips [Manager], Terry Graves. Front Row: Ken Bunker, R[Russell?] King, Mick? Harrison, Rodney Edgerton, Mick Connor, Pete Lawrence. I think that’s Anthony Slater in the front row of the top phot. I’m sure it’s Mick Mills at the back and I think the referee in the second one is Pete Mason. He and I started at about the same time. I don’t know how long he carried on refereeing, I did about twenty-five years! The top photo was taken at our last game of the season. The game was played at a special school in Ovingdean. We didn’t have a home pitch so thirteen of our sixteen games were played at Wright’s Farm, on Brighton Race Hill. There were no changing rooms nor any form of shelter. As far as I can remember, no-one had a car so we had to get the bus from Portslade Station! Yes some great memories. Alan Brackley got me to play when I returned from Cornwall. 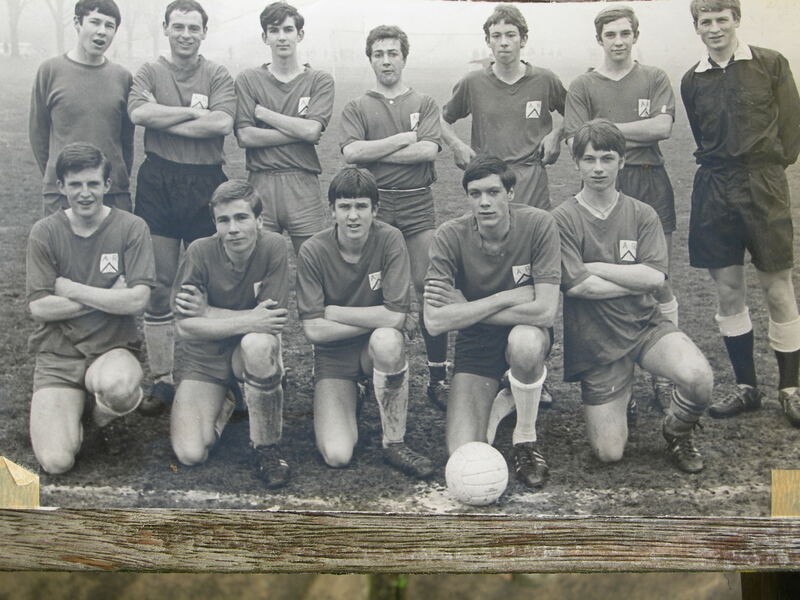 First game was at Wright’s farm, I was playing under someone else’s name and the Argus turned up to take team photo, I think we got away with it. Somewhere I have team photo of second team at Nevil rec. where pitch was very narrow even short throw went into the penalty spot. When John Philips took over as manager – we were very forward thinking played 4 4 3 and even numbered the back four 2, 3, 4, 5, so left back wore 5. This John Sullivan isn’t John William Patrick Sullivan (maybe Jim Sullivan) by any chance, is it? I’m unsure if this is the same John Sullivan you refer to, but he lived on West Hove seafront in the last house at the bottom of Station Road/Boundary Road.